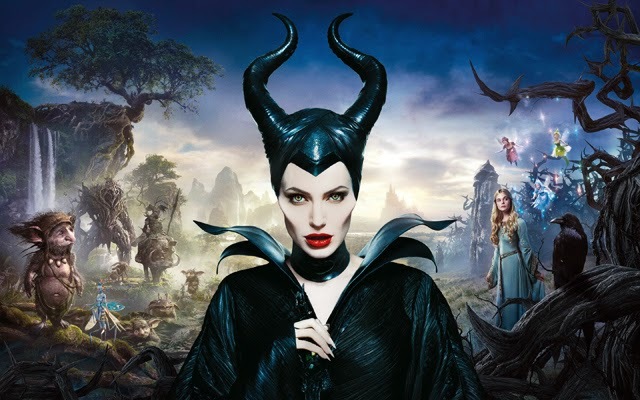 Maleficent – A Review | Warped Factor - Words in the Key of Geek. Every fairy story needs a villain, a prime mover of the forces of darkness to set the action in motion, and against whom our hero or heroine can triumph. Malficent was one of Disney’s greats in terms of taking written fairy tales and making them sing (usually literally) in an animated way, up there in dark scary competition with Snow White’s Evil Queen and Cruella De Ville as a hide-behind-the-sofa villainess. But that was then, in Disney’s landmark animated classic, Sleeping Beauty. 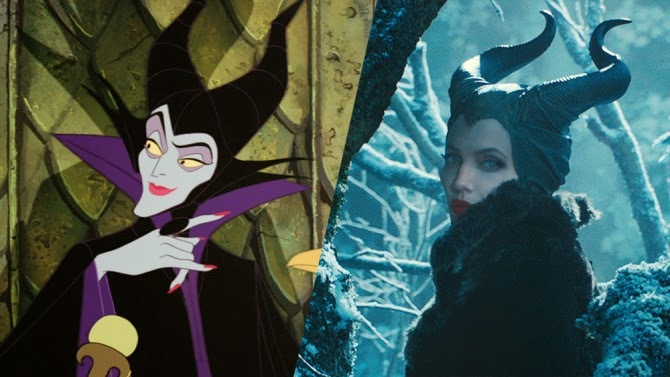 Let’s get this straight before we move on – Maleficent could have really worked. There’s nothing inherent in the idea of giving the arch-villainess a story of her own that means it’s going to fail. Yes, classic fairy tales are fundamentally simple affairs, with the lines of good and evil drawn in the sort of primary colours that appealed to, shall we say, a more black-and-white world, but a simple inversion of the Sleeping Beauty story to show why, exactly, Maleficent had such a bee in her extraordinary horny bonnet about the empty-headed Aurora, would have been – and remains – a great concept for a live-action telling. And as far as it goes, Maleficent delivers in at least its first half – the story of the fairy girl with enormous wings who falls in love with a human boy, and has her illusions of ‘true love’ shattered when he betrays and physically mutilates her (oh yes, this is modern Disney, people) in order to become a king is great – we’re with the story at least that far, and Angelina Jolie works her fairy socks off both as the pre-betrayal Maleficent and as the towering but mostly contained ragefest she becomes. Fairyland has never had a king or queen until then, but knowing Stefan as she does, and still fuelled by rage at his betrayal and the scars with which he’s left her, Maleficent becomes the first fairy queen and erects an enormous thorny barrier between the kingdoms of fairy and humankind, to prevent Stefan from moving against her until she’s ready. Having ordered all spinning wheels in the castle found, burned and then stored in a dungeon (Question – if you burn them properly, what would there be to store but ash? ), King Stefan then sends his new baby girl out of the kingdom and into the world – the world still chock-a-block with entirely unburned spinning wheels, you understand – under the care of the three godmothers, not to return till she’s sixteen years and one day old, when presumably he will flick a bunch of royal Vs at Maleficent and her ‘unbreakable curse’. This lunatic course of action is Big Problem Number 1 with the movie. The godmothers here are hilarious – as you’d expect from a company that has built much of its following on comedy sidekicks, from Jiminy Cricket to Aladdin’s genie. Pretending to be just three ordinary baggages is fine, and with Imelda Staunton, Lesley Manville and Juno Temple filling the roles, you know you’re going to get your comedy money’sworth, but if you make the mistake of taking it seriously for half a second, it’s time to call in Social Services, as these godmothers have not the first clue about what a human baby would need. Indeed, it’s Maleficent and her crow familiar, Diaval, who do most of the actual parenting of the child, albeit from a slightly stalky distance, which makes you wonder whether the Fairy Kingdom has so little business for its queen to attend to that she can continue to spy on the golden-haired child she despises so much. 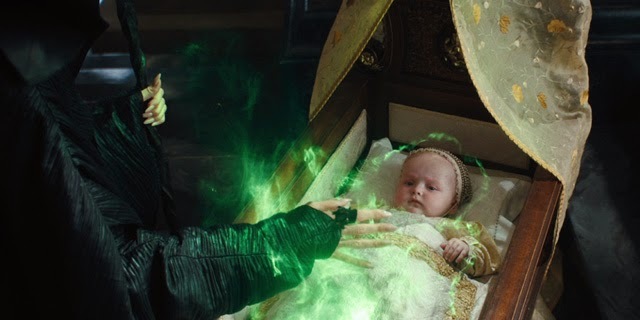 As Aurora grows, she encounters Maleficent a number of times, and Jolie gives us her best Alan Rickman, deadpanning ‘I hate you’ to a toddler. But when Aurora is more teenager than toddler, they meet each other properly, and these earlier encounters persuade the sickly-sweet human child that Maleficent is actually her fairy godmother. 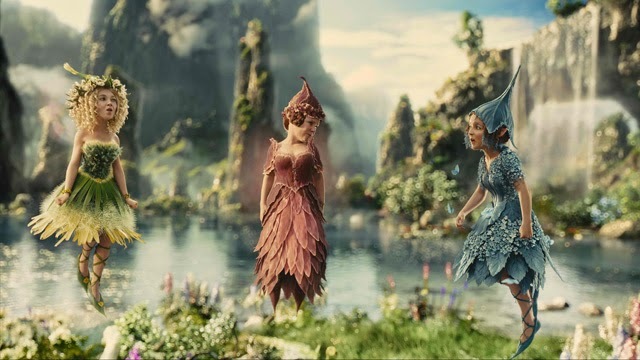 Cue awkward bonding scenes, with Aurora promising she wants to come and live in Fairyland when she’s older. It’s a far too straightforward passage from this moment to Maleficent trying to remove her own curse and finding that if you say ‘unbreakable curse’ it has a tendency to mean ‘unbreakable even by you, so there!’ – there’s little sense of Maleficent’s emotional battle between love and hate as her affection for the child grows, and the film is very much weaker for the lack of such scenes. And then, while you recover from the notion that no emotional growth is going to be shown, it’s full speed to the end – Aurora finds out who Maleficent is and runs away, the godmothers panic and take her back a day early, actually on her sixteenth birthday. The dungeon full of burned spinning wheels open up to her, and she’s pricked. Eternal sleep, here we come. Except that she’s already met Prince Hunkadelic by this point (It’s slightly unfortunate for a UK audience that Disney decided to call him Prince Philip). In a last-ditch hope of undoing her spell, Maleficent and Diaval nab Sir Hunkaslot and take him, at great personal risk, into the castle, where the godmothers urge him to kiss the girl with a haste bordering on the demented. He does – planting true love’s kiss on her lips. Nada. Zero. Zilch. Not a yawning sausage. ‘Told you so,’ says Maleficent. ‘I cursed her that way as a trap, because true love doesn’t exist.’ Then she apologises to the unconscious Aurora, placing a kiss on her forehead. Annnnd morning has broken. The girl’s up and about again. Very sweet – motherly love trumps blokey princey love, there’s your lesson. This is Big Problem Number 2. She becomes known as Sleeping Beauty – a point labored by the narrator in the very last line of the film. But the kid’s been down about a day and a half, maximum. Surely that would, at most, make you Really Long Napping Beauty? In the original story, she sleeps for a hundred years, and so does the kingdom, hidden from the world in voracious forest overgrowth. Here the delivery of the problem and the delivery of the solution are almost instantaneous, so there’s no sense of loss, or peril, or drama, just an “Oh blimey, here we go – Oh, that’s that sorted then’ let down. There is a big battle sequence, if anyone wants one – and it does include a huge fire-breathing dragon, but its function is rather lost until it paves the way for a great big emotional healing metaphor which again rather makes the whole of the last ninety minutes of your life feel a bit pointless. There’s no genuine loss but the loss of time here, and time is clearly something that still remains to all but Aurora’s parents. They die. She doesn’t seem to give a particular toss. And so with a quick happily ever after, you’re done and out the other side, still waiting for the emotional weight of the journey to kick in. It never really does – there’s no real emotional beat to Maleficent’s regret of her curse early in the movie, and the Sleeping Beauty solution comes hard on the heels of the Sleeping Beauty problem, so you never get a chance to go on any particularly emotional journey then either, leaving the heart of the fairy tale almost entirely untouched beyond Maleficent’s wailing rage at what was done to her to make her demand her vengeance in the first place. So should you watch Maleficent? Only really if you’re a die-hard Jolie fan. Beyond that, you get a much more effective emotional roller-coaster by watching the original Disney Sleeping Beauty one more time. Of course, if you’re an eight year-old girl, this is still more engaging that at least one of the recent live-action Snow White retellings, but then if you’re an eight year-old girl, there’s probably more cultural cache to be gained by getting your mates round and watching Frozen for the gazillionth time, while your parents stuff their ears with cotton wool, and wonder where they could get a spinning wheel in this day and age.